Music is dedicated to it, books authored on it, poems written about it, kingdoms built and fallen on it; it is the force that draws us together, the reason for risking it all, the drive that moves us to grow and to change from our very earliest stages to our very last. This powerful mystery force is, of course, love. Every human has a desire to be loved. Every human who suffers from lack or loss of love wishes to stifle this desire for a while (if love hurts, then wouldn’t it better not to want it? 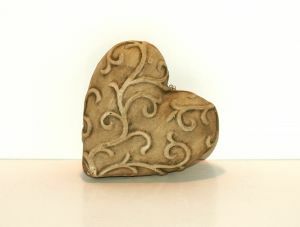 ), but eventually, our need to give and receive love pulls us back in. Why the fascination, the drive, the need for love? Besides the obvious biological reason of perpetuating the species (yawn), I have another answer. We crave likeness, we crave connection, we crave coming home to ourselves because when it all comes down to the very core of what we are. At our very core; we are love. From our very beginnings as infants, we seek connection and affection in our relationships. It is more than food and shelter; it is a bond and emotional attachment to someone else that we need in order to thrive. It has been proven over and over again that babies who are clothed and fed but not held and bonded with do not thrive. Many even die. It is, in essence, the life and death of our experience. This moves beyond our infancy as well. Don’t believe me? Ask an engaged couple…or someone who is involved in the unwanted death of their relationship. When love is powerfully strong, or dangerously clinging to life, the experience is nothing short of life-changing intense. Love, it seems, is absolutely necessary and yet often times seems to be completely irrational. Making sense of love can be challenging. It cannot be bargained with or carefully planned or orchestrated. It is not intellectual; it is EMOTIONAL and that alone makes it a wonderful, always flowing, changing force. So, how can we make sense of the magical mystery ride called love in our own lives? How do we reason with the life condition that defies rational thinking but determines so much of our very experience and the quality of our existence? First, let’s look at this from the standpoint of our own experience. Experience is based on memories. Memories are created through the combination of stimulus, thought and EMOTION. If you don’t care about what is going on, you are less likely to remember it later. If you don’t remember it, it no longer exists in your conscious experience (so it doesn’t really matter if it happened or not, right?). This means that in order to have something be important enough to become significant to you, you have to feel something at a level strong enough for it to be stored in your memories. Our memories and our interpretation of them become our story. Our story, as recalled by us, is how we see ourselves based on who we think we are as told through the filter of our perception of our experience. Experience matters…but the key really lies in our perception. This is what we decide, or how we judge, whatever happens to us, around us, and how we judge ourselves (feelings, thoughts, behaviors). Is perception reality? Well, it certainly drives our story, so our perception may very well be OUR reality but our perception may not be someone else’s reality at all. So, what story do you have about love? How have you perceived your experience of love in the past? Did your love from early on last all the way through to today, or did it get taken away? Did you feel safe and loved and treasured as a child? Were you abused or abandoned? Was your initial experience with dating exciting and fun, or scary and disappointing? Did your parents give you a great example of fighting for love? Are you child of divorce or of unhappy parents that you think should have split up? What are your beliefs around your own desire for and deservingness of love? What you decide about your perception of love matters. You have a story right now, but the beauty is you can choose to keep it, or rewrite it by expanding your own perception. The pages of tomorrow remain blank as well. You get to start a new chapter. Tell yourself the truth about past experiences and uncover any hidden (or not so hidden) stories you have about how love has shown up in your life so far. What have you learned? Do you have the love you want in your life today? How worthy of love are you? Is an apple worthy of being a fruit? Of growing on a tree? Of forming seeds inside, of being juicy and ripening in the sun and enjoying a good rain? An apple is worthy of all of these things because an apple is an apple, right? Even if the apple grew on a tree that was overshadowed by a larger tree, or was planted in an untended orchard and struggled for survival, I think we all could agree that an apple growing in poor conditions is still worthy of being an apple. So, if an apple is an apple and is always worthy of being an apple even when it grows in poor conditions then doesn’t it follow that if you are love, then love is always worthy of love? Outside conditions don’t change that. Love is love. Love is always worthy of love. Period. Is yours not healthy enough? Shiny enough? Perhaps your orchard needs tending, but your love is still worthy. Write your story with an understanding of what the main character is made of. As you find yourself making sense of love, call the conditions what they are, but don’t confuse the inside of the character with the outside conditions. Rewrite your story of love. You are worthy.